Home INTERVIEWS SIZE MATTERS – THINK BIG, DREAM BIG, ACT BIG AND BE BIG! SIZE MATTERS – THINK BIG, DREAM BIG, ACT BIG AND BE BIG! Q: Maybe just for the beginning a little bit about your background – have you been part of Hilton family for many years? A: A long time. This year is 20 years that I’m part of the Hilton. I started my career with an internship in Hilton Amsterdam and moved to the Park Hilton as a student and stayed with Hilton ever since. I went back from Amsterdam to Brussels, Stockholm, Vienna, Prague, Warsaw and Istanbul. I think this is my 8th country that I’ve had my job with Hilton. I have always been fortunate. Q: What inspired you to decide on a career in the hotel industry? A: I went to the Hotel school but from very little onwards I was always interested in going to hotels with my parents. I was allowed to go there – I always wanted to have a look in the kitchen, so we went there for a dinner. I like the diversity both in guests and team members and I’m interested in food more than the average person and I think you are then quickly attracted to this industry. I think the beauty with Hilton is that people don’t go there for an average event, for an average day. People want to have a special stage, a special event if you come to Hilton. And either you strive or it will stretch you out and you will never like it. I think it is important to have special events with special people. Q: Anyone visiting some of Hilton’s hotels where you were the director admires the order and neatness, despite the crowds of guests and many events. How do you do it? A: Firstly, thank you very much. It is obviously way too much credit for me. It is about team work. The first thing is that you need the right teams; on your own you achieve nothing. And I think that, secondly, in conference hotels it’s largely about logistics and the flow of the event and about routines and executing those routines with great discipline. It is all about the logistics and understanding how it works. There is no such thing as a perfect event. You can always evaluate it later and get better. It is a discipline. I think I’m a pretty competitive guy, so if you want to stay ahead you need to reinvent and make sure that you become better. For an event the facilities like those here are unique, but they are nothing without a unique service and without the unique attitude of the people. That is something that is the key – the smile, the way your coffee is delivered more than the taste of the coffee. The right balance is the key. Q: Which part of your career are you most proud of? A: I think I’ve always thought that my current job was the best job and I still think that, so obviously today I think having opened this together with once again a fabulous team is a real unique experience already just by its size. However, I think for me personally it is more the pride I take is more on how you achieve it than what you achieve. So one is opening a hotel with the people, how you do it and the ethic and values that you live by, and then to operate it together with the team is I think something that I’m most proud of. It gives a lot of satisfaction if you can do those things together, because on your own you are nothing. Q: What are your main business principles? A: The first, which is very relevant to this job where I started 13/14 months ago on my own, is teamwork, which is so important. Dare to hire people who are better than you because you cannot be the best in everything and you should not have the ambition to be the best in everything. If you dare to hire the people that are better than you and make the team out of them I think you have a very, very good recipe. Q: How big is the Hilton Bomonti team? A: We are today 400 people and a few outsource partners/functions, which is very important. Me and my senior team have seen every person during the interviews and I think that is important, even if I join the interview in the last two minutes. It is not just because of Remco, but it is the title of the business card – if the general manager joined it must have been an important job. Everybody enjoys that and I think that is the intention that you want to give to your guests and to your team. Q: You have been in Istanbul for just over one year. How would you assess it from the perspective of a hotel with one of the largest conference centres in Europe? A: I think there are 2 sides: one in Europe; there are very few of those big conference centres, so I think for Europe generally something like this is still needed. From our perspective it has been received extremely well from around the world and Hilton obviously has a large sales network globally so we know pretty well what we need and where we need it. This was one of the things that we needed very much, a large hotel with this level of utilities in such a city – it is a winning recipe. Ever since I came here, the amount of requests and interest from Turkey and particularly from abroad is fantastic. So many international organisations that have big requests (Asia, Europe, America) come back to Europe every 3 years. This type of hotel, just by its size, you probably have a handful or more likely both hands full. For this size and detail, you already narrow it down to 1 or 2 cities, and if it’s this size and detail and city you go here. 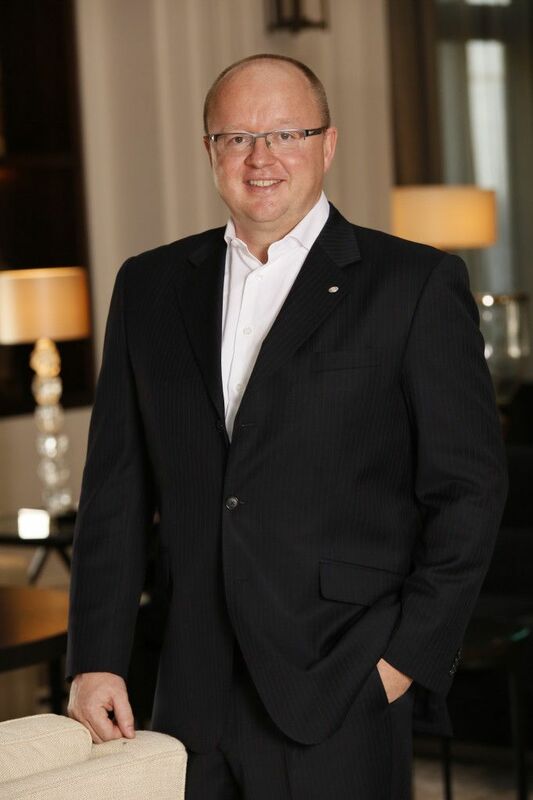 Q: What are the challenges when opening a new hotel in Istanbul? How does it differ from the rest of Europe? A: To be honest, every opening is difficult. The core principles of the Hotel remain the same. So here I think the main difference is obviously just the size and the quantity. When we ordered our glassware, we didn’t need to order just glassware – we ordered 100,000 pieces of glassware. So financial consequences are times 10 or 100,000 and are significant. So, like I said before, in big events it is the same like opening a hotel. It is all about the planning, because it requires a lot of planning. We were very fortunate with very dedicated and ambitious people and committed to only provide us with the best. We have tried to complement that with the same level of team members and operating equipment and details. I think we had a large advantage that this is in Istanbul, so that made it significantly easier as far as the ramping up of the business and how well Istanbul is perceived. It’s a market with quality people available, so I think the real difference in this hotel is in size and shape that makes the difficult opening; the logistics behind this within the 12 months time frame ramping up from 1 team member to 500 and getting that sorted was probably the biggest challenge. 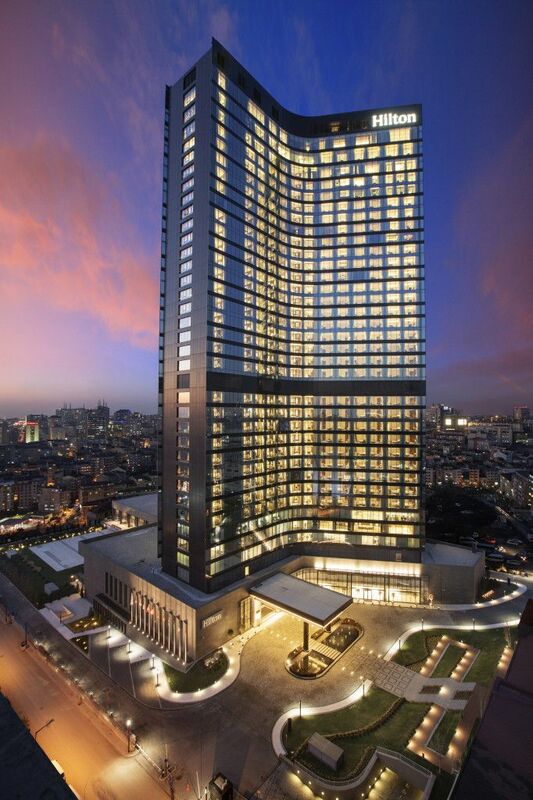 The Hilton Istanbul Bomonti Hotel & Conference Centre is by far Istanbul’s largest hotel, with 829 rooms and 12,000 sq metres of meeting space. It is also Hilton Worldwide’s largest opening in Europe for over a decade. The hotel offers the largest pillar free ballroom in the city and the ability to serve in excess of 6,350 guests at any one time. The hotel features state-of-the-art meetings technology, including digital check-in screens and iRoom applications for event planners, as well as outdoor terraces ideal for weddings and social occasions. Q: So do you believe that size matters? A: If you go to the back of our hotel or in front of the hotel, on both sides there is a picture of this hotel with the slogan of Conrad Hilton: “Think big, dream big, act big and be big”. So I absolutely think that size matters. But instead of size, if you think about our slogan you can really achieve something. Not just what you achieve but how you achieve it. And not what you do, but how you do it. The slogan could not be more perfect for this hotel. Q: Hilton has long been present in Istanbul with a range of hotels. What is the market position of Hilton and what is the differentiation within the chain? Q: Do you have centralised sales for all the Hiltons in Istanbul? A: Both yes and no. We have worldwide sales, so most of the countries have international sales offices, people focused selling outbound or from that country into other countries. We have a lot of people representing us around the globe; we have a Turkish sales force selling all the hotels in Turkey plus we have a local sales force within the hotel to make sure we go in the individual accounts. So we go from global to micro, so basically all segments and markets are covered. Q: Does the situation ever happen in Istanbul where city-wide everything is sold out for a big event? How do you manage such situations? A: I would say not enough. It has frequently happened, but not just because of a conference, rather because there is such a high amount of them in Istanbul and there are so many tourists coming 365 days a year already and that is the beauty of the destination. They are not depending on one segment only, so they get every market coming from different directions. Q: Your partners are the most demanding congress clients. What is it like to work with them and meeting their needs? Q: Is the price associated with a sense of quality? It is known that the wealthier guests also decide on the basis of how high the price is? A: I think this is partly right. Why I like this industry is the diversity of the cultures. Not every culture is the same. The Dutch people probably are very modest in that way. But at the same time in Istanbul, with this hotel, we have beautiful 35 square meters guest rooms with spectacular bathrooms up to 500 square meters suites. So we have all differentiations in the price ranges to deliver a spectacular service. Our manager is on 34 floors with a spectacular view, we serve complimentary afternoon drinks that is adding more value to those who are looking for more exclusive service. But at the same time our guest bedrooms are already fantastic. So my answer is yes, it often is, and I think here we have that variation of product to offer all that under one roof. Q: What is the main difference from the hotel and convention markets of Central Europe, where you worked most of the time, and Istanbul? A: The big events are going around Europe and around the world, so I don’t think in that way there is a huge difference. I think Turkey has one huge advantage and that is that hospitality is in the nature of the people. So again, because this is a business of people and hospitality is very difficult to learn, I think service-wise Istanbul stands out, climate-wise compared to other countries it stands out, airport-wise as far as accessibility and connectivity to the rest of the world it stands out, so Istanbul has a lot going for it and basically these facilities are hard to find in Eastern Europe, if at all. Q: For some time you were also working in Vienna. What are the real chances of Istanbul overtaking Vienna, which has for many years been the premier meeting destination of the world? A: Istanbul is doing all the right things at the moment and I have worked in Vienna and have the greatest respect for the things that they (Vienna Convention Bureau) are doing, the whole city and the products they have. But again, as a competing destination, I think Istanbul is making all the right moves to get closer and closer.- I don’t know if Istanbul is going to overtake it someday. The hotel facilities are here – a great addition to this hotel is convention centre and is a great addition to enhance your competitiveness on the international market. The infrastructure is progressing. We have just opened new underground line, the 3rd bridge is being built, the 3rd airport is being built. Istanbul is already much better connected to the world than Vienna, so the number of hotel rooms are growing rapidly and are larger than in Vienna. With additional conference centres we will be getting more competitive with them and will be getting closer. Q: In these last days the European MPI Conference has just finished. This is the introduction to a series of important International Meetings Industry events in Turkey. How important do you think these events are? A: I think we have just established that this is the people’s business. So to get people into your home it is better to build a relationship, it is better to do business with people, so flying them into Turkey, getting to show them the places and hotels is the key. Big events are built on trust. I’ve never seen an event for several days with 1,000 people without having the person coming to see you at the event. So it is key and it is our ambition to grow the destination. Q: Istanbul is now virtually omnipresent in the international meetings market through the Istanbul Convention Bureau. How would you assess the current functioning of the Istanbul Convention Bureau? A: I think it is very good. I had a very nice meeting in my first weeks here and I was advised that the Convention bureau was very excited by the opening of our Hotel, because we could open a different segment as no Hotel in town would give more than 250 or 300 rooms in one hotel. I think with giving the Convention Bureau the possibility of selling more than 250 rooms in one Hotel, we are actually giving them the tools to enhance the performance even further. I think they are everywhere, they are very active, and they are up against the competition from other Convention Bureaus. But again the Hilton Bomonti is giving them the capabilities to go into segments which they never had before. I think together we will be very good partners and we will be very strong. Q: What is the co-operation at the destination like? What is it like for major candidacies when the whole destination has to work together? Are you satisfied with the promotion? A: I think it’s wanting to appreciate and to understand the funding behind it before evaluating the performance. Looking at Vienna at the end of the day is how you do it. But I think to really perform you need the destination and you need the facilities. To the two conference centres we have just added the third, so we have just added 50% more capacity to their ability to promote and to their outreach. From an infrastructure point of view, in Istanbul we have so many great messages to tell in coming years. If you look at it from a European perspective, with Istanbul being really on the access of the two continents we are so much closer to the rest of the world. So with the convention centres, the capacity increasing rapidly just throughout town, I think we will all be able to offer support, because they cannot do it on their own without us. I think they are doing a great job, but if we all partner up we can compete with the best in the world. Q: Can you say that you are satisfied with the promotion of Istanbul Convention Bureau at this moment? A: They will never say that they are 100% satisfied, but I think they are great partners. Q: At your hotels you’ve hosted many famous people. Who are the guests that impressed you the most? A: Hilton Hotels like to keep a certain level of confidentiality. But I think out of the many famous guests it must be Nelson Mandela. I was still very early in my career, but the impact and personality can make a great impression. Every prime minister that comes to the Hotel is very much protected, but not him. He stepped out of the car, shook everyone’s hand and asked how you were. I was fortunate enough that I was able to organise everything and I asked one of the African waiters if he would mind sleeping in the hotel for 3 days, because the ambassador had to ask if Nelson Mandela could be served by the same waiter, not because he is particular, but because he’s getting older and would like to avoid too many strange faces. The impact I made on that man’s life by just asking him if as an African person could he serve Mandela was huge. Every year, after 10 years when he was still working, he would still run to me and remember. So I think this was one of the most special occasions, probably because it was so normal and by being so normal the impact he had on my colleague. Q: What is your favourite place in Istanbul and why? A: Princess Islands. The islands are the only islands around the city. It just shows the magnificent and enormous size of Istanbul. You are driving by boat one and a half hours and the city just gets bigger. It just never ends and is constantly growing. It is spectacular to see. You see more and more coastline. Once you are there, after one and a half hours driving, you still cannot see the end of the city. It is just a spectacular city. Q: What do you personally love about Istanbul? A: I personally have the passion for food and beverage. Like everybody else I’m not a fan of the traffic, but I think it’s entertaining. And I very much like the climate. Q: Can you share the best advice you’ve ever been given? A: I took that from film makers, but I think “Hire the best people you can and make a team out of them”. That is what my job is all about. Probably the shortest and the simple one is the ambition for the rest of my life: “Handle every piece of paper once”. In these days it is an e-mail, or a call, but no longer paper. Yet it is so difficult to do that -very small but very strong advice. For business advice I’m a big, big fan of Steven Govier and the 7 habits of highly effective people. I have read that many times. It helped me a lot to put things in perspective and to keep balance.